So you are looking around for somewhere to invest your hard earned cash? GSI Markets could be one option and there is definitely plenty of money to be made in this world. However, you’ll first need to make a wise lengthy decision. Not only will you need to choose the right investments, but you’ll also need to select the right trading platform. Choosing the wrong platform can really ruin your experience and leave you completely broke. Is GSI Markets the best option for new traders? Or, is it best avoided? You can answer those questions for yourself after reading the comprehensive review below. While you’re at it, you’ll also want to make sure that the company is safe and reputable so here are some quick facts. GSI Markets was apparently launched in London in 2003 but it’s impossible to say if they were actually launched in the London, If I had to bet I would say that they weren’t. The company offers Forex trading and other CFDs. They utilize the MetaTrader 4 Platform, so it should be familiar to most individuals and nothing out of the box. The company’s website mentions three companies, Netsoft Limited, Media Soft Limited, and GSI Markets Limited. The Financial Conduct Authority in the United Kingdom has recommended not using GSI Markets which is obviously very serious, since the company does not have a license. It doesn’t seem that the company is regulated either which is even more worrying. Because of this, it might be best to steer clear of them but ultimately you have to make your own decision and further investigate for yourself. 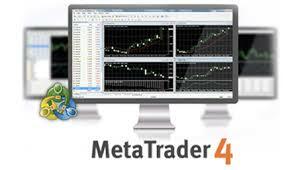 As mentioned above, GSI Markets uses the familiar MetaTrader 4 platform. It can be used on your browser or desktop. Mobile versions of the software are also available. The software has been around for at least 10 years now. It is exceptionally reliable and tt is also possible to enjoy social trading with Sirix as a member of GSI Markets. If you enjoy the MetaTrader 4 software and have some prior experience, you’ll feel right at home with GSI. There will be no learning curve, so you can begin trading almost immediately. Another thing to remember is that this company offers several payment methods. You can choose between WebMoney, wire transfers and your credit card. The options are very limited when compared to some of the alternatives. Nevertheless, most people will be able to find something that suits their needs. The platform is secure, so you don’t have to worry about someone stealing your information along the way. Just a further tip, choosing credit card but offer you more protection down the line if something dishonest happens to your money down the line. When it comes down to it, GSI Markets will be a good choice for those willing to take a risk. It is best to avoid the ECN account, since the commission fees are so expensive. Instead, you should stick with a standard account. Just remember that the site is not regulated and the United Kingdom’s Financial Conduct Authority has recommended against using the site. I will update this post whenever I get further information on anything good or bad. If you have unfortunately been scammed by GSI markets then please share your experience in the comments and likewise if you have made money then let us know as well.